On this week’s episode of the Prepping for Tomorrow program with Author Bobby Akart, post-apocalyptic author Mike Evans joins us. 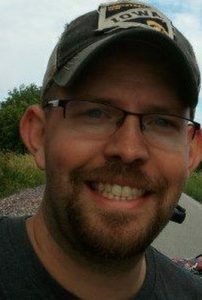 Mike, who lives in Iowa with his wife and children, released his first book on Amazon two years ago and never looked back. With TheOrphans: Origins, amidst the chaos and rage of a world teeming with the dead, Mike creates a complex character and an unsung hero. A common guy like us who rises to the pinnacle of his abilities to right a wrong for which he feels responsible. 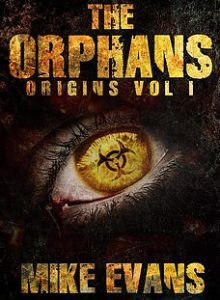 The Orphans series has now expanded to four books, but Mike hasn’t stopped there. He writes at a steady pace, releasing several books a year including short stories and anthologies. He writes for character depth because Mike’s goal is for you to love the character—both villain and hero. He also has a rebellious streak in his writing, often taking a different tact or a unique perspective. Mike prides himself on writing from an angle that no one has done before. By keeping his characters real, there are few unfeasible superhero-like events written into the story. And as in life, his characters are imperfect, full of the flaws that plague us all. 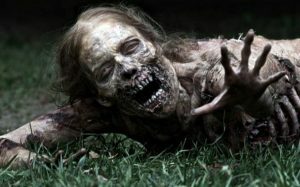 At a time when the average person doesn’t know what to fear most – terrorism, pandemic, economic collapse, EMP, or Cyber Warfare, zombies have become the monster-in-the-closet du jour. Back in the day, it was all about vampires or werewolves. But for the modern day preppers, it’s all about surviving, and then thriving, in a post-apocalyptic, dystopian world a la Mad Max. Our jobs as post-apocalyptic authors is to remind the reader that most of the time, we’re just ordinary human beings, vulnerable emotionally, and sometimes shabby, mindless drones. What would I do if … ? Listen to this broadcast or download “Mike Evans: Author of Prepper Fiction” in player below! Previous: Previous post: The Death of Geraldine Largay a Case Study! Next: Next post: The Frying Pan!